We are delighted to announce that the donations for apples this year raised a total of £214.49 which has been donated to the Alzheimer's Society. A huge thank you to everyone who contributed. OPEN Wednesday 2nd January 2019 (normal surgery hours resume). Booking service is available as usual over the holiday period. Happy Christmas and New Year from all at Wadsworth Osteopaths. Remedial massage therapist Kirstie Skelton-Clark is rejoining the team at Wadsworth Osteopaths. She is starting with a Wednesday morning session at Lockwood Road clinic in Beverley. Her first session is Wednesday 16 May 2018. Booking service is available as usual. Happy Easter from all at Wadsworth Osteopaths. We are pleased to welcome Kate Balcomb-Johns to the team at Wadsworth Osteopaths. 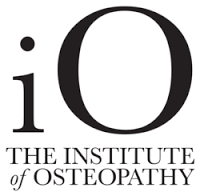 Kate qualified with distinction from the European School of Osteopathy in Maidstone in 2014. She has a particular interest in the treatment of babies and women during pregnancy. For appointments call 01482 875004. OPEN Tuesday 2nd January 2018 (normal surgery hours resume). A warm WELCOME to osteopath Dianne King who has joined the practice. Dianne has been practicing as an osteopath in London for the last 6 years. She has moved up to Hull with her family and will be working with us at our Beverley and Cottingham surgeries. Dianne graduated with a Master’s degree from the British College of Osteopathic Medicine in 2010. She has a particular interest in treating Sports Injuries and took a leading role in providing osteopathy during the London Olympics and Paralympics in 2012. She is also experienced in giving postural and work station advice for employees and treating a wide variety of work related conditions. 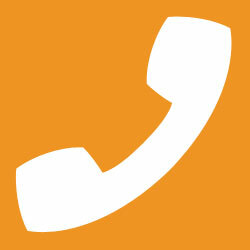 For appointments call our 24/7 booking line 01482 875004. We are proud to announce that we have raised £265.80 for the Alzheimer’s Society over the last few weeks. This breaks our previous record last year. The Bramley apple tree at the back of the Cottingham surgery has produced a huge crop this year. Baskets and boxes of apples were left in the waiting room at our Beverley and Cottingham surgeries. A big thank you to everyone who took apples and donated to Alzheimer’s. At Wadsworth Osteopaths we are keen to promote health awareness. We are holding a series of talks in schools to help children understand how best to keep themselves fit and well. Healthy habits started early in life will pay dividends in the future. A range of different talks are available for different age groups. • The skeleton: 'Dead Bod' - can you put the bone back where it belongs? 3. How do I rate myself?